Known as "the Daughter of Independence", Mrs. Alia El Solh was heir to the towering legacy of Lebanon's first prime minister, a politician who helped lead the struggle to drive French troops out of Lebanon. Her father, Riad El Solh, was considered to be a pillar of the pan-Arabism movement. Alia influenced Lebanon’s political life in the 1950s while studying at the American University of Beirut and Oxford University at a later stage. She was a prolific writer, advocating strongly on a wide variety of issues. Her writings about Lebanese and Arab causes appeared in several publications. On campus, she was known for leading demonstrations for women's rights. Alia El Solh married prominent Palestinian journalist and nationalist Nasser El-Din Nashashibi. She was the mother of two children. They all lived in Cairo for several years. In 1964 she began a career in journalism, writing for the Lebanese newspaper Annahar. She set out to excel in what was a man’s world. Her first column of note entitled "I am against" shook up the political establishment of the day. Alia was appointed editor-in-chief of "Al Hasnaa" magazine in 1968. El Solh had access to and influence on many senior leaders and foreign officials such as Gamal Abdel Nasser, Yasser Arafat, Hafez Al-Assad, King Hassan II, and Francois Mitterand. She steadfastly carried forward the case of Lebanon's independence and support for Arab nationalism. She was the first journalist to interview Palestinian leader Yasser Arafat and spoke also with Hafez Al Assad after the coup d’etat that brought him to the Syrian presidency. Alia is remembered for an exchange with Yasser Arafat in 1976. She told Arafat that the road to Jerusalem did not pass through Sabra and Shatila. Her sharp remark drew the famous retort: "The road to Jerusalem passes through Jounieh". Alia's sense of the dramatic urgency of the issues confronting the Middle East shone through when one day, she brandished a machine gun in public and pleaded with the masses with the words "Arab brother, you only have this". In 1983, when the Lebanese civil war had been raging for eight years, El Solh left Beirut to settle in Paris. She was known for publicly criticizing the Syrian presence in Lebanon at a time when most Lebanese politicians feared to air any disagreement with the regime in Damascus. El Solh lamented the plight of the Lebanese, whom she said had been transformed from a people "made for success" into a people "doomed to failure". She returned to Beirut with the vision of establishing the Riad El Solh Association after watching a steady flow of Lebanese young people deciding to leave their country in frustration at the on-going political and economic difficulties they and the country faced. Over the years, she has been interviewed by the most renowned publications such as Le Figaro, Le Monde, The New York Times, the Washington Post, Time, the Express and Paris Match. 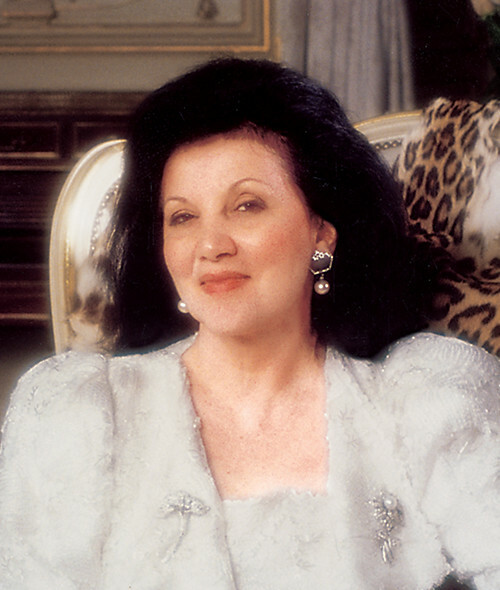 On April 26 of the year 2007, Alia El Solh died of a heart attack in Paris. She is survived by her daughter Faiza, her son Riad and her grand-children Ryan, Arabella and Stirling. "